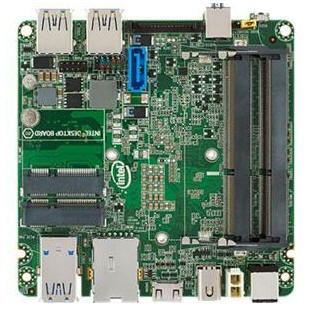 The D54250WYB "Wilson Canyon" motherboard ups the ante for NUC motherboards with a powerful yet energy-efficient Intel Core i5-4250 ULV processor that can tackle demanding multimedia applications while consuming only 15 watts. 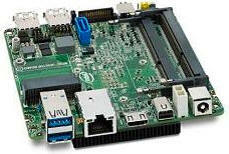 The board also brings USB 3.0 function to the table for high speed I/O devices. 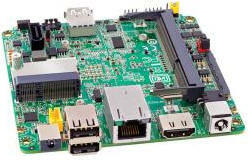 Like other available NUC motherboards, the D54250WYB offers a half-height PCIe mini-card slot for Wireless connectivity. However, supplementing its mSATA slot is a standard SATA connector, allowing integrators to take advantage of dual-drive configurations using the mSATA as an OS drive and adding a second, larger volume HDD or SSD. The D54250WYK SKU of Intel NUC is equipped with Intel® Turbo Boost Technology 2.0, automatically allowing processor cores to safely run faster than the base operating frequency. It also includes Intel® Rapid Start Technology, ensuring you are quickly up and running, and Intel® Smart Connect Technology to keep you up to date at all times. The D54250WYB comes equipped with four USB 3.0 ports (two front, two back), a Mini-HDMI port and Mini-DisplayPort, Gb LAN, and a 3.5 mm audio jack on the front of the unit. With it's energy-efficiency and small size, the performance-focused Wilson Canyon is great for digital signage, kiosk, multimedia and desktop replacement applications. 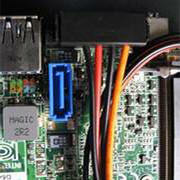 The D54250WYB requires low-voltage DDR3L memory. The Intel NUC comes complete with Intel® HD Graphics 5000 to ensure a brilliant HD experience, Intel® Quick Sync Video for fast video encoding, and DisplayPort 1.2* for driving 4k displays. Couple this with a stereo/mic jack along with four USB 3.0 ports and an infrared sensor for your remote control, and you can create a home entertainment system, a gaming machine, a digital jukebox, or all of the above. You can immerse yourself in movies, TV, or games in 4 inches square without the need for discrete hardware. Exceptional Performance per Watt – the Intel . Next Unit of Computing (NUC). With a visibly smart Intel Core i3 processor in a highly customizable package, the NUC is a breakthrough in compact but impactful computing. Drive two digital displays at once with dual HDMI. Get reliable connectivity through Gigabit LAN. Effortlessly move between applications with smart multitasking delivered by Intel Hyper-Threading Technology. Intel High Definition Audio (Intel HD Audio) via two HDMI 1.4a outputs supporting 8 channel (7.1) digital audio Supports Intel 64 architecture UCFF Form factor . 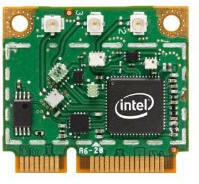 Intel Next Unit of Computing compact barebones ideal for advanced kiosks, digital signage & more applications . Great things come in small packages! Based on 34nm Intel NAND Flash Memory, the Intel® Solid-State Drive 311 Series offers similar performance to a 2.5” Intel Solid-State Drive (SSD), but in an eighth of the size. The compact mSATA footprint enables dual-drive storage for traditional embedded platforms, as well as a single drive option for innovative, low-power handheld devices.